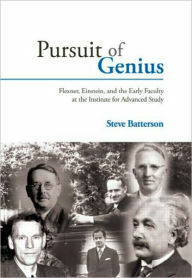 I recently re-read and now review a special book in which Steve Batterson focuses on the creation and development of the Institute for Advanced Study in Princeton (NJ). Briefly, it was founded in 1930 by Abraham Flexner, together with philanthropists Louis Bamberger and his wife, Caroline (“Carrie”) Bamberger Fuld. Whatever flaws the Institute has had, the fact remains that the collective genius was probably unsurpassed, even by the great universities in Europe (notably Heidelberg) and the UK (All Souls College, Oxford). Wexler certainly deserves a great deal of credit for the stature that the Institute gained and continues to possess but it should also be noted that Adolph Hitler played a significant role during Wexler’s search for superior talent in the 1930s. Theoretical physicist Albert Einstein, for example, immigrated to the United States to escape Nazi persecution. With regard to its impact, consider these achievements cited by Wikipedia: From the day it opened the IAS had a major impact on mathematics, physics, economic theory, and world affairs. In mathematics forty-one out of fifty-seven Fields Medalists have been affiliated with the Institute. Thirty-three Nobel Laureates have been working at the IAS. Of the sixteen Abel Prizes awarded since the establishment of that award in 2003, nine were garnered by Institute professors or visiting scholars. Of the fifty-six Cole Prizes awarded since the establishment of that award in 1928, thirty-nine have gone to scholars associated with the IAS at some point in their career. IAS people have won 20 Wolf Prizes in mathematics and physics. Its more than 6,000 former members hold positions of intellectual and scientific leadership throughout the academic world. Pioneering work on the theory of the stored-program computer as laid down by Alan Turing was done at the IAS by John von Neumann, and the IAS machine built in the basement of the Fuld Hall from 1942 to 1951 under von Neumann’s direction introduced the basic architecture of all modern digital computers. The IAS is the leading center of research in string theory and its generalization M-theory introduced by Edward Witten at the IAS in 1995. The Langlands program, a far-reaching approach which unites parts of geometry, mathematical analysis, and number theory was introduced by Robert Langlands, the mathematician who now occupies Albert Einstein’s old office at the institute. Langlands was inspired by the work of Hermann Weyl, André Weil, and Harish-Chandra, all scholars with wide-ranging ties to the Institute, and the IAS maintains the key repository for the papers of Langlands and the Langlands program. The IAS is a main center of research for homotopy type theory, a modern approach to the foundations of mathematics which is not based on classical set theory. A special year organized by Institute professor Vladimir Voevodsky and others resulted in a benchmark book in the subject which was published by the Institute in 2013. Theoretical physicist J. Robert Oppenheimer served as the third Director of the Institute from 1947 until 1966, thus far the longest tenure of any Institute Director. Prior to his Directorship, in 1942, Oppenheimer was appointed to the Manhattan Project, and he oversaw the construction of the Los Alamos laboratory, where he gathered the best minds in physics to work on the problem of creating an atomic bomb. While Director of the Institute, Oppenheimer was simultaneously Chairman of the General Advisory Committee of the Atomic Energy Commission from 1947 through 1952, overseeing all atomic research and development in the United States. He once observed, “There must be no barriers to freedom of inquiry. There is no place for dogma in science. The scientist is free, and must be free to ask any question, to doubt any assertion, to seek for any evidence, to correct any errors.” Thank you, Steve Batterson, for making it possible for so many people to return in time to the establishment and subsequent development of an intellectual community unlike any other, one whose values Oppenheimer affirms in his observation.